In AnimSchool's Advanced Modeling class, Blue Sky Modeler Adam McMahon shows how to extract clothes from the body mesh in Zbrush. In this clip from 3D animation program, Animschool's instructor Kent Alfred discusses how to focus on weight, muscles and volume in a wrestling animation to increase the force and impact. In AnimSchool's Environmental Modeling class, Dreamworks Environmental Modeler Juan Pablo Chen shows us how to resolve problems from concept art to 3D model. We are happy to announce a new strategic partnership with The Animation Collaborative, a physical workshop provider in the San Francisco Bay Area, to provide AnimSchool character rigs for their workshops. AnimSchool recommends in-person Animation Collaborative workshops for those in or near the Emeryville, CA area. 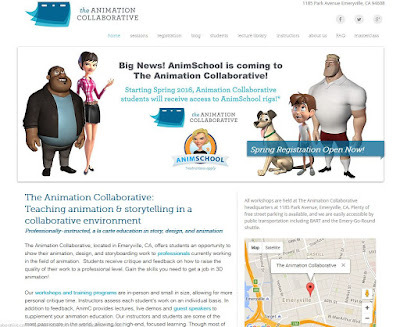 As well, The Animation Collaborative recommends online AnimSchool for students who can't attend their local workshops. Our companies approve of the level of quality from each of these providers of high-end animation education. In this clip from 3D animation program, Animschool's instructor Ben Rush talks about do's and don'ts of posing and how to avoid cliche acting choices. 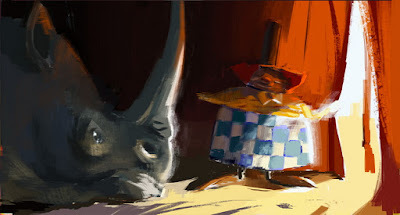 AnimSchool has released our new Animation Student Showcase for their work in 2015! We would like to salute all our students, recognizing the huge amount of work each one of these assignments represents and the level of talent they are achieving. The quality of our students, our programs, instruction, and our appealing characters is seen in this impressive showcase. If you want to recognize their efforts, comment on the youtube section. To learn 3D animation skills with us, apply at www.animschool.com. Talk to an admissions advisor using our Live Chat, phone, or email. 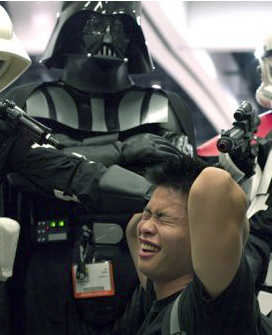 We'd like to reintroduce AnimSchool Graduate Mark Tan! Mark Tan was a star student we've interviewed in the past. Since graduating from AnimSchool, Mark has went on to work at Blue Sky Studios on the Peanuts movie. We got a chance to catch up with him to ask some brief experience about his journey so far! Can you describe your experience at Blue Sky so far. animators. There are currently over a hundred artists in the animation department creating performances that are seen by millions of people. The initial impression was intimidating, but the friendly environment was a good counter balance. 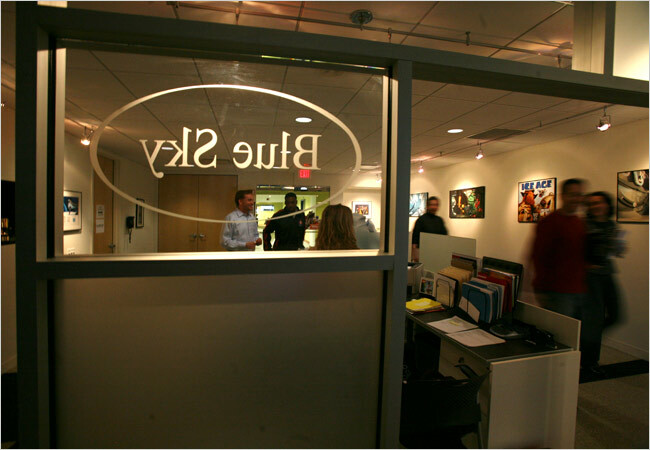 All of my Animschool instructors except for one (Matt Doble, Melvin Tan, Steve Vanseth, Trevor Young) are currently working at Blue Sky along with fellow classmates (James Kim and Jilmar Altamirano). It was interesting meeting everyone in person for the first time. Animating here is both extremely challenging and rewarding. Peanuts had a 2 week program (Van Pelt University) that involved being immersed in the unique style. The training program was followed by a test which involved creating a shot with Charlie Brown. After the test was approved, we were moved into production. I tried to put as much effort and time as possible to every shot I was given, regardless of the length or character. Most the work I was assigned involved marketing promotional shots or background character animation in the movie. I did get a small Snoopy/Woodstock shot and Red Haired girl shot, which I am very grateful for. Currently we are crunching on Ice Age 5. I have never animated quadrupeds professionally, so getting thrown into a show with 10+ main characters who are all creatures is forcing me to adapt and learn. My skills have grown significantly since I first stepped foot in Blue Sky. What's your typical day at blue sky like? A typical day at Blue Sky can involve different things. 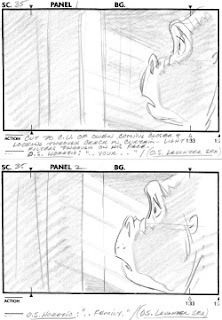 Before starting you attend a kick off, which usually involves the directors showing you the layout or storyboard sequence and telling you what they want. After getting kicked off, I plan either with reference or sketches and move into blocking my shots. When the shot is blocked out (enough to get the feeling and point across), I show my lead, address the notes, then show the supervisors, and address their notes as well. After it looks good to them, then you send off your shot to sweatbox, which is where the directors look at your shot again. This process continues in a cycle until your shot is approved. Sometimes I could get a shot with a lot of characters and the task gets split to two or three animators. We communicate and try to keep each other up to date on our progress as we all move through the process. How has AnimSchool prepared you for this role? The obvious answer would be that four of my mentors currently work here. Animschool gave me the closest thing to a first hand experience of what is expected of me as a professional animator. The quality and sense have to always be present for every shot you get. Also I understand a lot clearer what the directors/supervisors want when I get notes, so I finish each task promptly without confusion. My main advice would be to look at the work of the pros and not your fellow classmates. The demo reels you see of people actually working in the field set the bar that you have to hit to be employed. Be critical of your work, but don't discourage yourself. Learn to enjoy the process of being challenged so you are always improving. 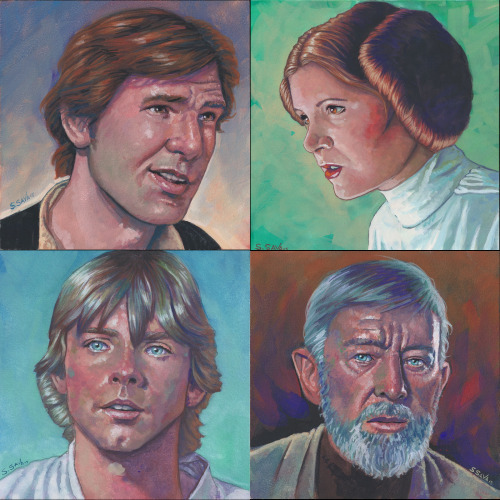 We'd like you to meet the multi-talented, Scott Sava, who's worked on everything from video games to television to feature film to comic books. He is now producing, directing, and writing his first full-length feature animated film, Animal Crackers. Hello Scott! Can we start by getting to know how you became interested in 3D? I started out in video games in the early 1990’s. At the time… it was Sega Genesis games (I worked for Sega of America) and everything was 16 bit (animating pixel by pixel). As the years went on… 3D became the new thing… and I got to learn the medium as it grew in the industry. 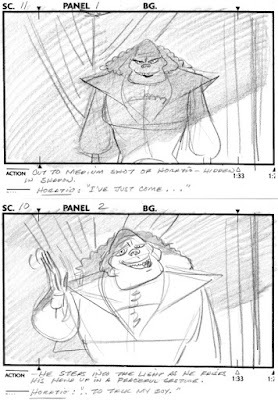 Eventually… I got to try my hand at films when I worked on a couple of the Casper the Friendly Ghost movies. 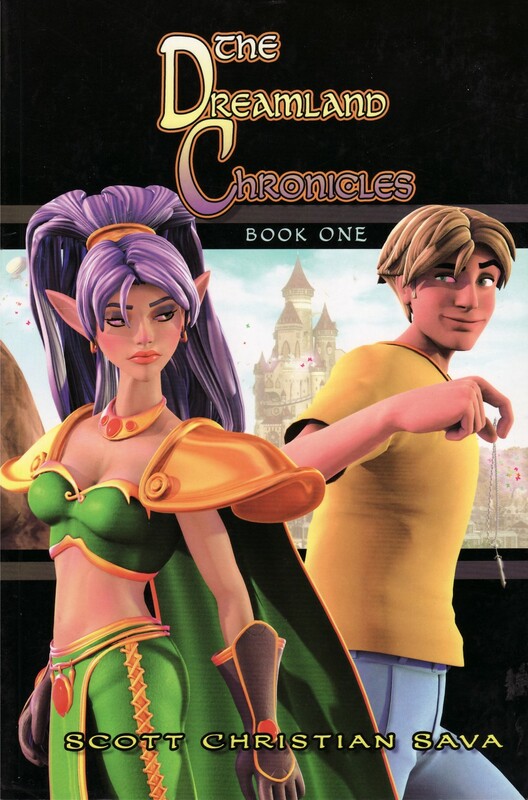 Most people would not think of creating a comic strip (which is usually considered 2D) from 3D models. What was the deciding factor when you chose to try that? I’d always wanted to be the artist on the Spider-Man comics. Since I was a kid. I went to art school. I studied illustration. But I never really had a knack for traditional pencils and inks. So despite showing my work at every comic convention for years… I never got the call to work on Spider-Man. Finally… I met comic legend Marv Wolfman (Teen Titans, Blade, etc) who suggested I try using my “day job” skill of 3D animation and apply it to comics. One thing led to another and… whatdyaknow? I got the gig. After Spider-Man: Quality of Life (that was the series I did for Marvel to fulfill my childhood dream), I wanted to push the medium. 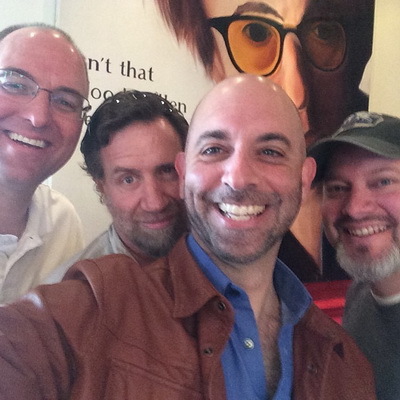 So… Dreamland was born. 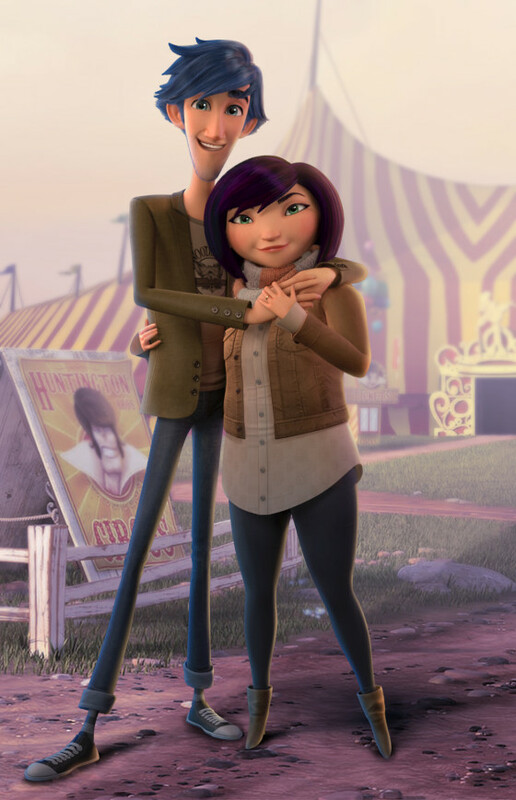 What do you think modelers, animators, or comic artists could learn from the unlikely combination of 3-D models in a 2-D format? Well. You can photoshop a lot of your mistakes. That’s a plus. But, the lack of movement makes the poses extra stiff looking. It’s very hard to get nice lines. And, the fact that your readers can literally stare at a single frame for HOURS to spot every mistake is never fun. But. 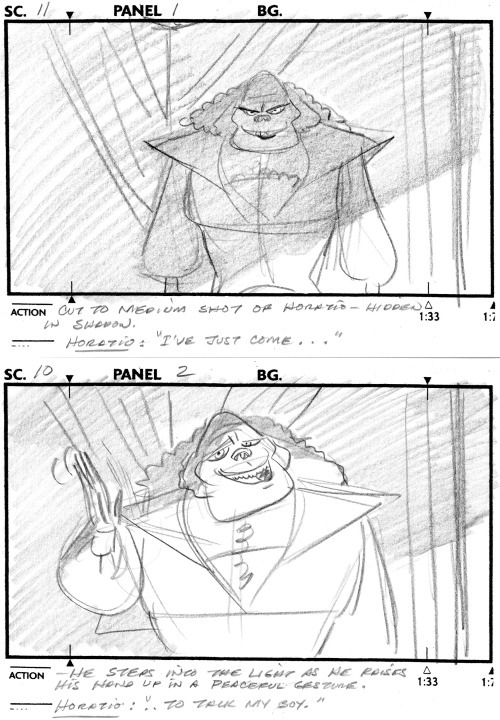 You can tell a story MUCH quicker (and cheaper) than you would be able to in animation. So there’s that. How long did it take you to get from your lowest professional point to where you are now? 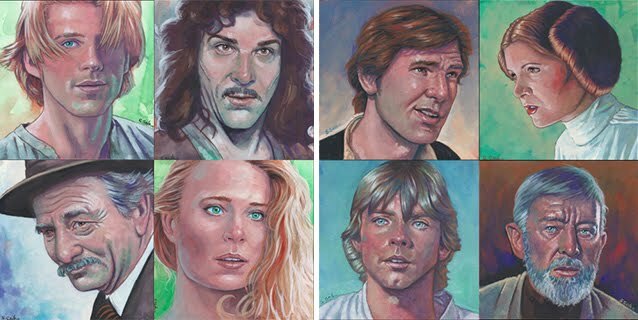 I started professionally my junior year in college (Academy of Art in San Francisco) at Sega of America. That was 1990. I don’t want to do the math. It would make me cry all over my keyboard. You took a very unique path to get to where you are today. Could you identify the major stepping stones for you, and how you got to each one? I started off wanting to draw comics in High School. I went to Art school and learned Illustration. My junior year of art school, I got an internship to learn animation for Sega games. A few years later, my wife and I moved to Los Angeles to work for a comic company (Malibu Comics) where I did both games and comic book covers (Star Trek and Mortal Kombat). This turned into a lot of work doing tv animation for Saban (Power Rangers, Digimon, Nascar Racers, etc). All the while, I wanted to do the Spider-Man comic I’d dreamed of since I was a kid. Then, Marv Wolfman introduced me to the concept of merging the two mediums (animation and comics) and I got my dream job. From there… I did several years of comics. Mostly for my, then newborn, twin boys. Suddenly, Hollywood studios were optioning (when they pay you a small amount of money to take a property off the market while they develop a film) my books. After many years of nothing ever getting made… I decided I’d do it myself. And here I am. 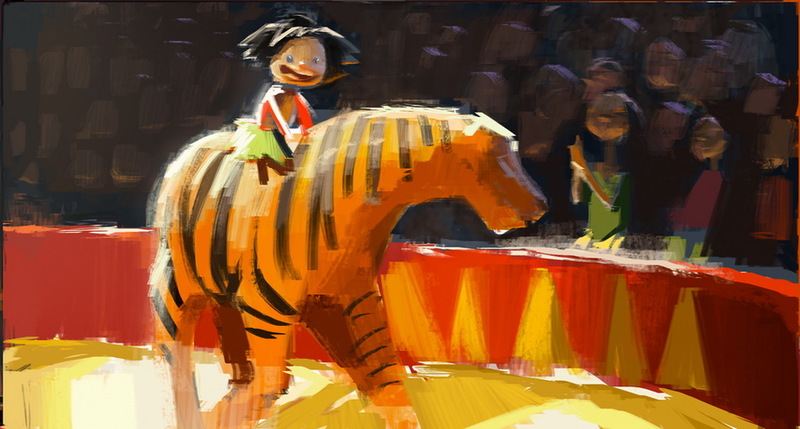 Making my first animated film… Animal Crackers. 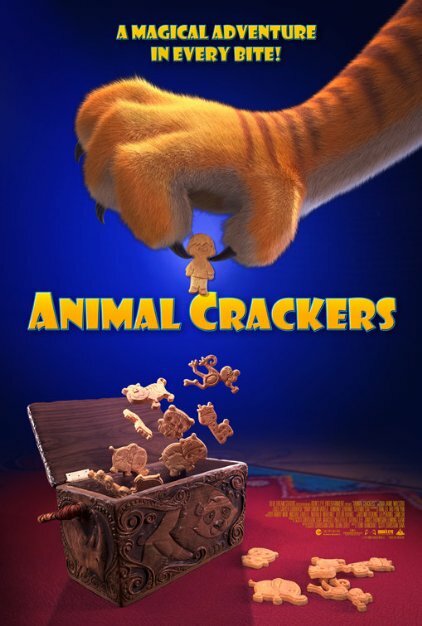 How did you get the inspiration and courage, as well as the funds, to turn your Animal Crackers and Pet Robots comic books into full-length feature animated films? Inspiration was my kids. My twin boys. They were maybe 7 or 8 at the time. I write all my books for them. The funds was tough. REALLY tough. 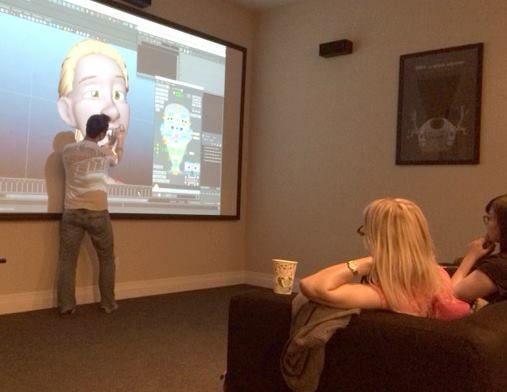 The way we got the funds was to put together an animated short to show the investors what the movie would look like. That’s what sold it. Showing them. What is the most exciting part of producing an animated film from your own home? I think the fact that I’m doing it from my own home. I love not having to deal with traffic or… well… just people in general. I love being able to paint while talking on the phone. Or skyping in my PJs. What advice do you have for other people who dream of doing something very similar? I’m an introverted artist. I do not have the personality or tools to do this. So I had to study Hollywood producers. I had to pick up the mannerisms. I had to become a person completely alien to me. It’s uncomfortable and scary (Xanax helps). But it was this… or lose my house. So I did it. As an artist. You can see the end result clearly. But no one else can. You have to show them. You can’t say “trust me… it’s gonna be great’. Show them. That sells it. People have no vision. They lack any imagination. As a creative person and also a business person, how do you define success? For example, is it in the satisfaction with a completed project, from income generated, or something else? I find success daily. Finishing an email. A painting. Getting the kids to bed without a crying fit. Every day has little successes. These build up to bigger ones. Finishing the movie is the culmination of many years of little successes. I’ve been working on painting the movie poster for 7 weeks now. Each day… I have a little success. Finishing a chimpanzee. Or just a hand or paw. But it’s a goal I set and accomplish for that day. One day soon. It’ll be done. Same for the movie… or pretty much anything we do. The BIG stuff is always too big to just look at the end result and work towards it alone. You have to chop it up into manageable successes. Bite size. As for the money? Nah. Artists don’t do it for the money. We’re just happy to be able to pay the mortgage and feed the kids. This doesn’t mean I’m not going to get paid well. Eventually. But it’s never the motivator. As artists… we have to both be willing to sacrifice for our art… while also fighting for our right to be paid for it. Everyone tries to take advantage of you. It’s just how the industry is. You have done a lot of work (and a lot of different kinds of work!) in the 3D world. Over the years, did you ever make a major mistake that you learned an important lesson from? Daily. It’s how you learn. I don’t recall any one particular BIG mistake. Like my successes… I like to do mistakes daily. In bite size. Hopefully they don’t add up to one BIG mistake one day. But art is trial and error. It’s exploring the paths less taken. Do you have a specific philosophy or approach that you take to creativity and learning? As above… I have found trial and error, little bites of success, and learn and adapt to be good ones I’ve followed. My art and my profession have changed so many times throughout my career. 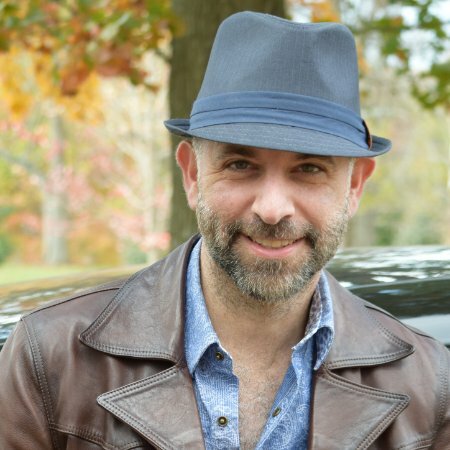 From illustrator to video game animator to game designer to character animator for feature films to comic book artist to graphic novel author to movie producer/director/writer. I’ve gone from exclusively using prismacolors to watercolors and now gouache to paint. I once had a head full of hair. Now? Totally bald. Don’t get hung up on one style. One profession. Explore. Learn. Become more than the person you were yesterday. Always try to improve yourself… while still being happy with the person you are. I think that’s the toughest thing. Striving to be better… while still being happy of who you are and who you were. Knowing that you did your best with what you had in front of you that day… and being content in that is good. Knowing that you can do better tomorrow is great too.